Workplace injuries involving violence increased 23 percent in 2016, becoming the second-most common cause of occupational fatalities and trailing only transportation incidents. Workplace fatalities involving violence increased from 703 in 2015 to 866 in 2016. This increase in job fatalities shows that for many groups of workers, work is becoming more dangerous and deadly. 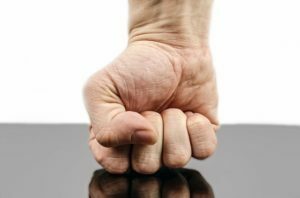 Occupational violence refers to any act of intimidation, harassment, physical violence, or any other threatening disruptive behavior that takes place at the work site. It can be anything from verbal abuse and threats to physical violence and even homicide. Those who can be affected or involved in workplace injuries include employees, supervisors, customers, clients, patients, and visitors. Workplace violence remains a major concern for employees and employers throughout the country. Each year, about 2 million workers report having been victims of violence on the job but many more of these cases are not reported. Studies have identified factors that contribute to the increased risk of violence for workers at certain job sites. These factors include working alone or in isolated areas and working with volatile, unstable people. Exchanging money with the public may also contribute to the potential for violence. Working where alcohol is served and providing services and care may increase the possibility of violence. In addition, the location of work and time of day such as working areas with high crime rates or late night/early morning are also risk factors that should be put into consideration when addressing the issue of workplace violence. Among those with higher-risk are workers who conduct transactions with the public and those who work alone or in small groups. The media usually perceives workplace violence as a situation where a resentful employee or customer takes a firearm to a place of work and shoots indiscriminately. This explains why violence at work is often defined as a situation when a physical attack results in injury. The National Safety Council states that non-fatal injuries and illnesses resulting from workplace violence are under-reported. The organization cited that several investigations found discrepancies of up to 48% between the number of worker’s compensation claims and the number of injuries reported. About 90% of organizations involved in the survey were not complying with OSHA reporting regulations. There are various reasons why workplace violence is underreported. Studies show that most businesses fail to report non-fatal workplace violence due to a lack of incentive, lack of communication, and lack of awareness. As a result of the time it takes to complete reports on Survey of Occupational Injury and Illness (SOII), businesses use whatever data they have at the time instead of implementing an accurate data collection and reporting procedure in their workplace violence policy. The study also concludes that many employers and employees do not understand what workplace violence constitutes and how it is defined. Some occupations, including mental health professionals and law enforcement, are at greater risk for violence in the workplace. A review by the Bureau of Labor Statistics (BLS) shows that healthcare workers have the highest rate of workplace violence. They are four times likely to require days away from work as a result of violence than other professionals. According to the BLS, other workers at greater risk of violence-related injuries and fatalities include those working in education, government, food preparation and serving, building and grounds cleaning, sales and related occupations, retail, public transportation, warehousing, financial activities, professional and business services, and manufacturing. OSHA encourages employers to identify the risk factors and how they can be prevented or minimized to ensure safety in the workplace. One of the best moves is to establish a well-written zero-tolerance policy toward occupational violence. The policy should cover all employees, clients, contractors, patients, and anyone who may come in contact with company personnel. Training, administrative controls, and engineering controls can also reduce workplace violence in both federal and private sector workplaces. Additional methods can be implemented in high-risk industries.